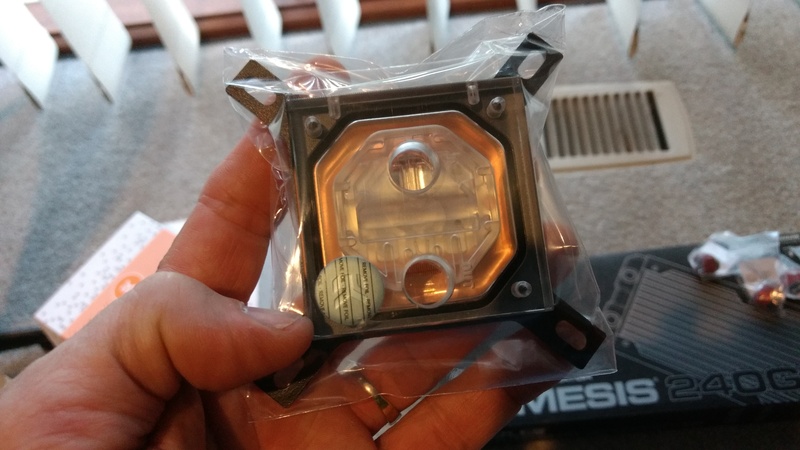 Joined OC3D today and want to share this my first leap into custom loop water cooling. 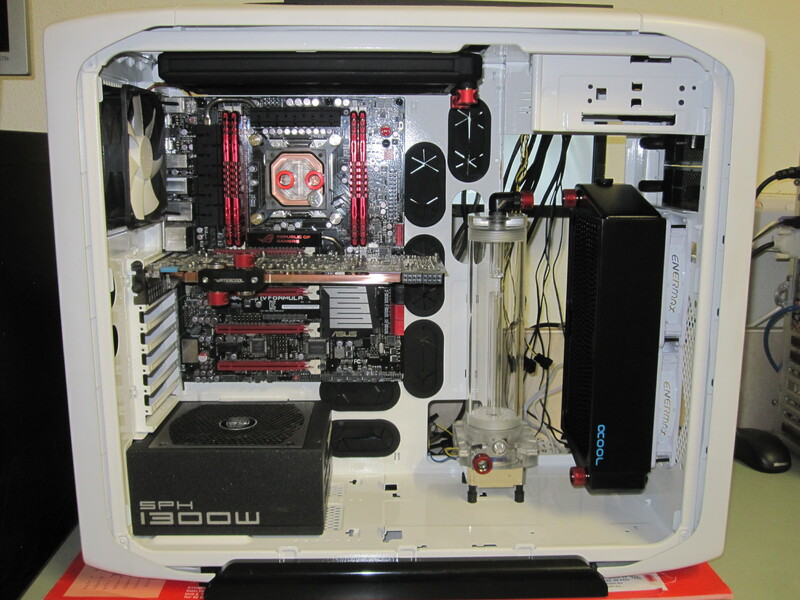 A: water cooled loops look awesome. 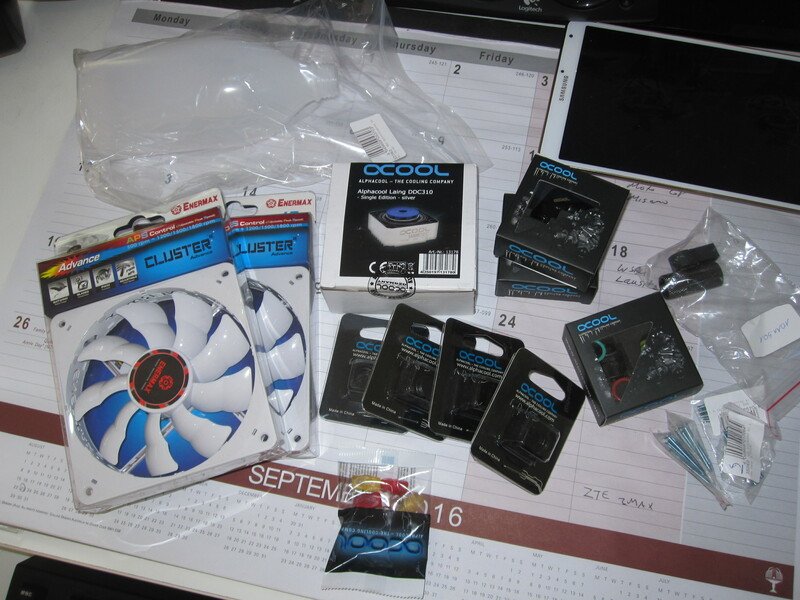 B: my graphics card fan noise was really getting to me. 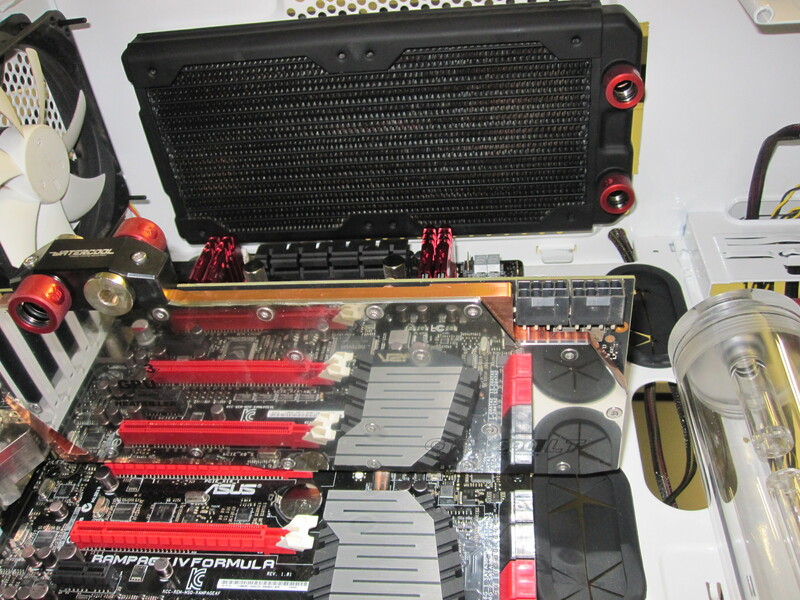 C: I wanted to overclock my GPU's, but running at 77° C (and fan @ 100%) when gaming. 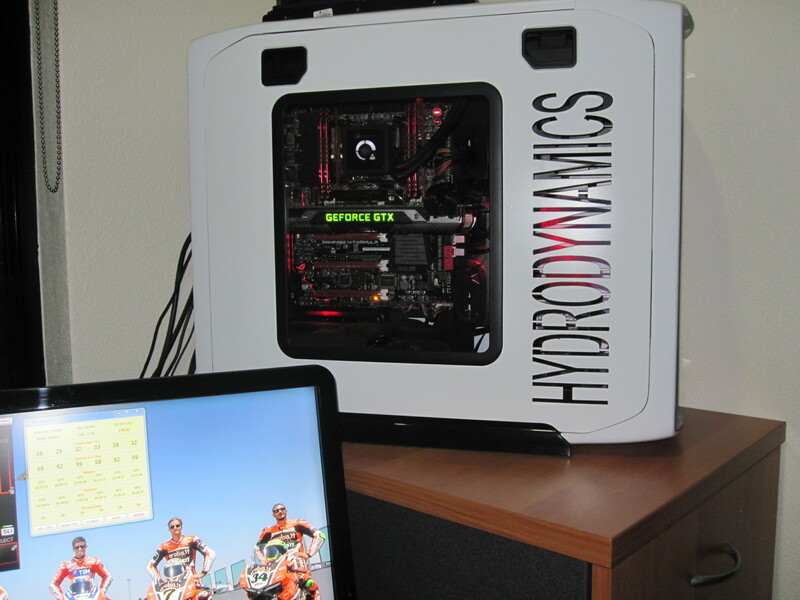 The rig I am water cooling I built back in October 2012 and although it is old, it still performs flawlessly. 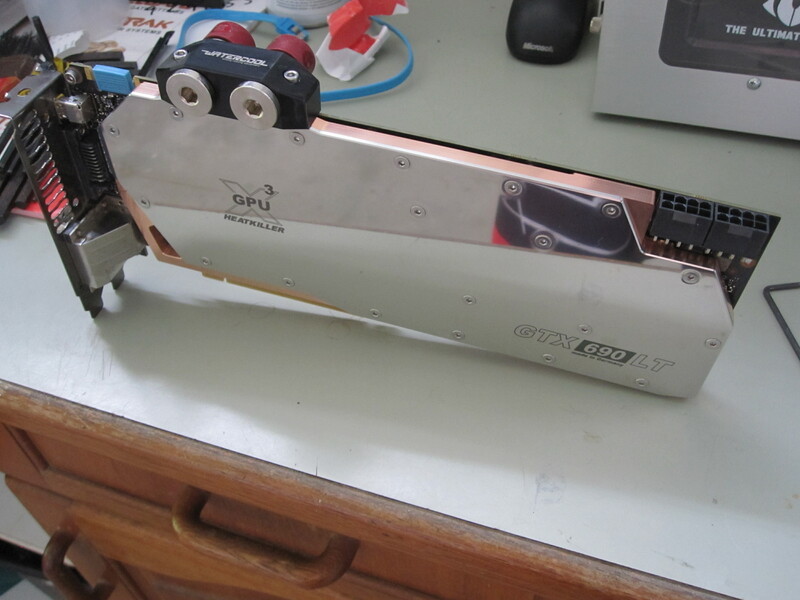 Here is the list of parts from the old build. 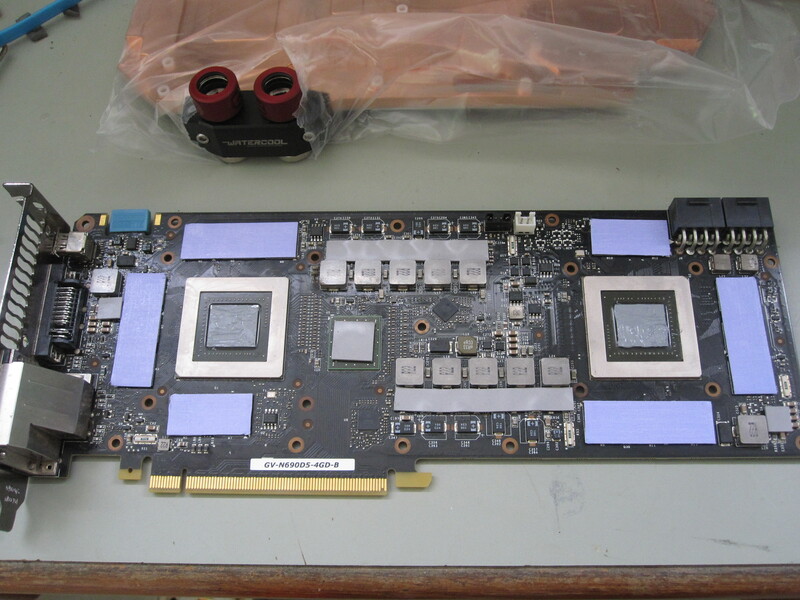 First off was to buy a water block for my somewhat ageing GTX 690. 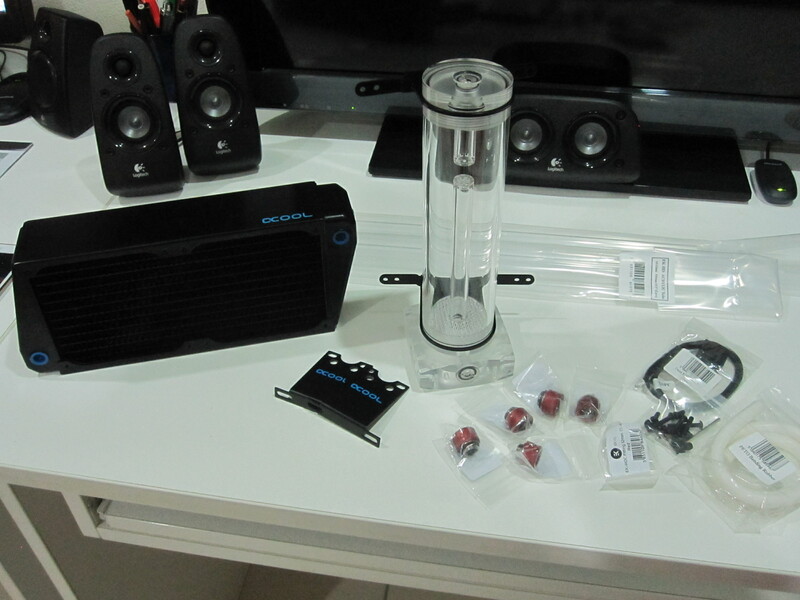 Because of its age there was not much choice, but I sourced this from Aqua Tuning in Germany. 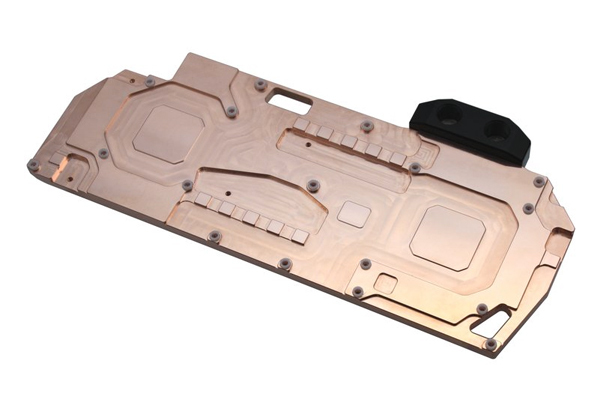 A huge chunk of CNC'ed copper. 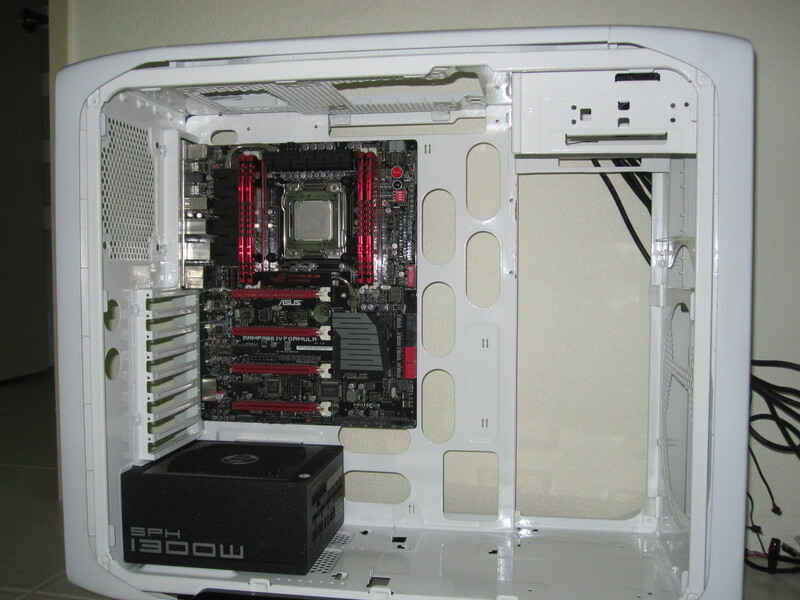 The case had to be modified to fit the front radiator, and I also wanted to powder coat it white. 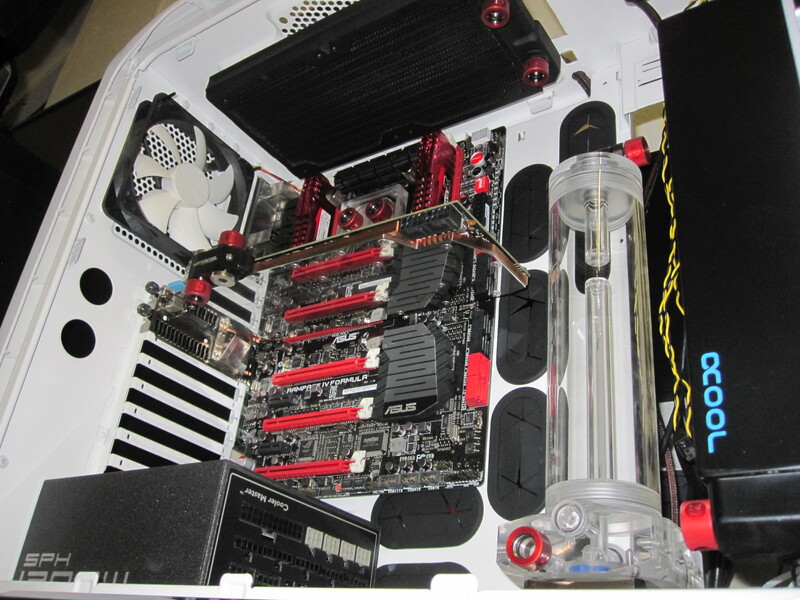 Always nice to see a proper build log, keep it coming dude! Case looks great man. I'm just making inquiries about powder myself, going to get a bike frame done. 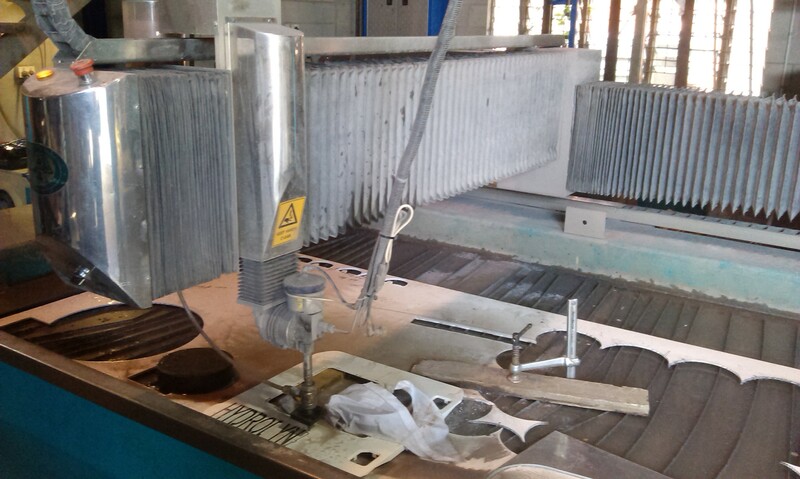 Much cheaper than paint and that includes sand blasting too ! 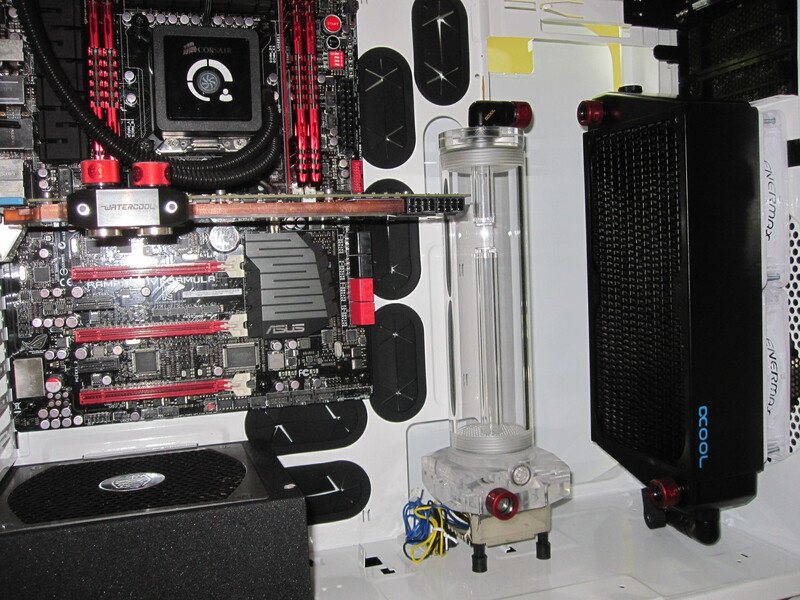 Previous to building I was searching the net for water cooled rigs for ideas, man there is some totally awesome builds out there! Saw a few with names, so I put my thinking cap on and came up with HYDRODYNAMICS. the branch of science concerned with forces acting on or exerted by fluids (especially liquids). 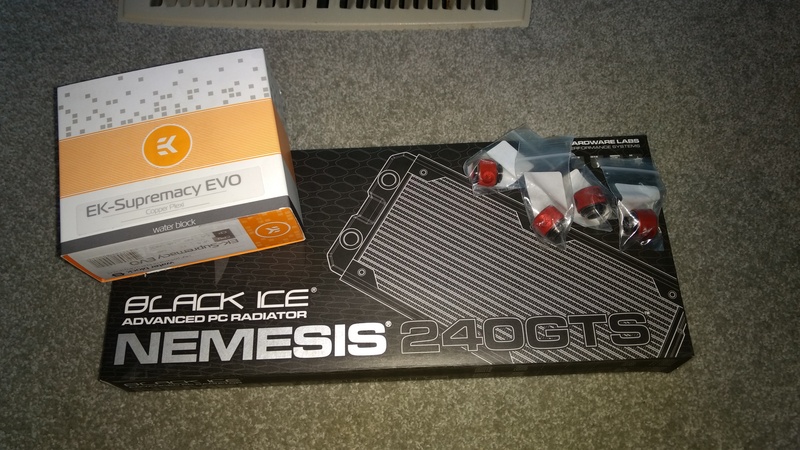 Although I'm not a scientist studying in this field, I am a PC enthusiast who will be gazing at my finished product and contemplating the flow rate of the pump and the heating of the coolant as it passes through the heat sinks and then the cooling as it flows through the radiators. 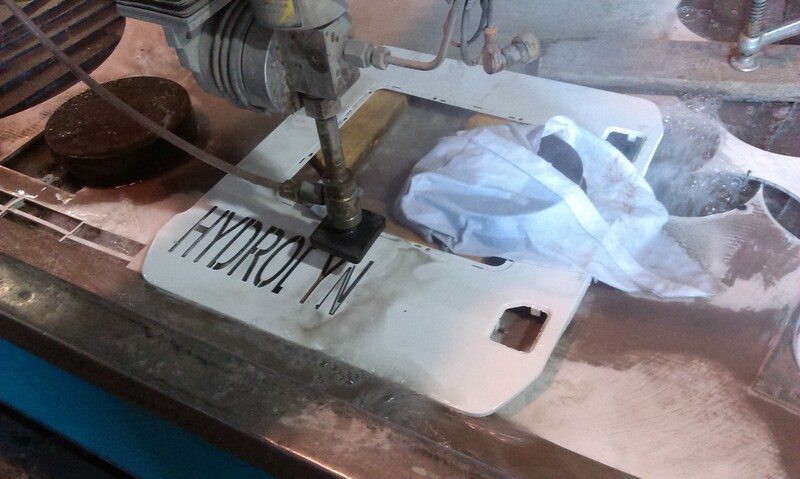 I am a welder/fabricator by trade and at our workshop we have a high pressure water cutter. 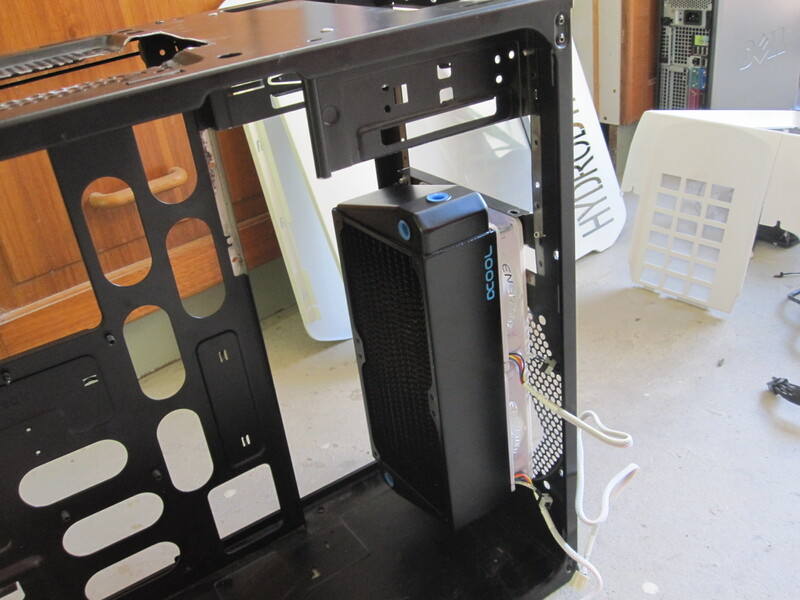 I fitted it to the old rig just to see if it worked out ok. The radiator had to go where I had made the room by cutting out the 5.25 drive bays. 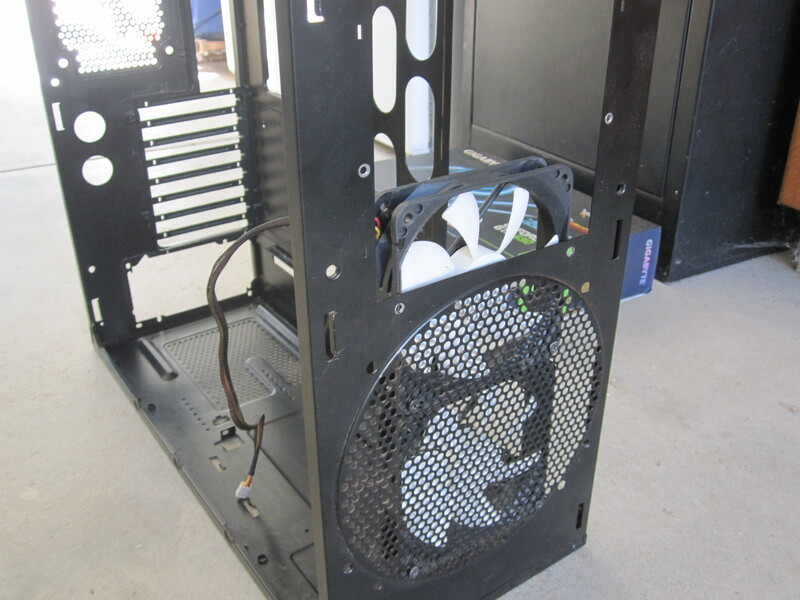 It was just a matter of where I was going to fit the reservoir as the case is really not very big. Also trying to figure out the routing of the tube was a little bit daunting. As I have mentioned, I have never done any custom water cooing before, so I didn't want to make things too tight. 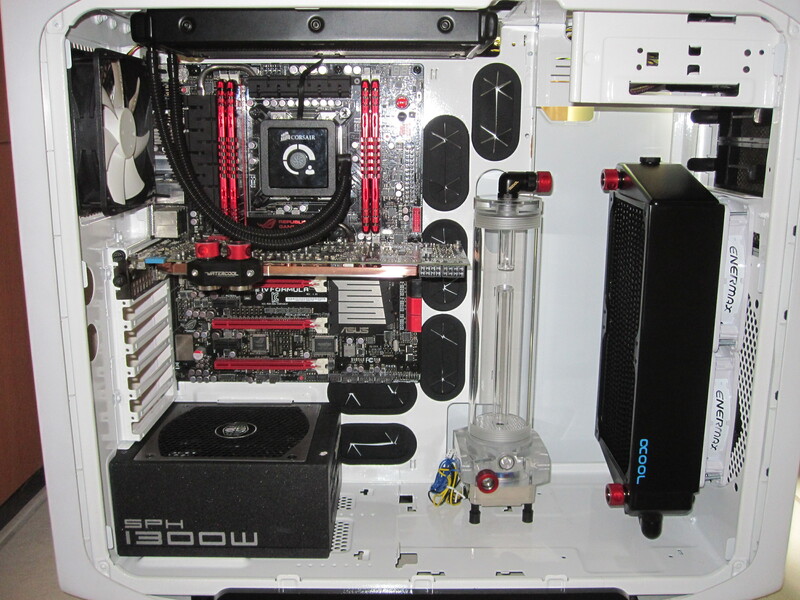 As I was looking at where I would run my tubing, my eyes kept being drawn to the Corsair H100 AIO cooler. It was now just into its 5th year of service and I was thinking that I really should retire it. So on with the brakes and on the net searching for a radiator that would fit in the small confines of the internal roof space. 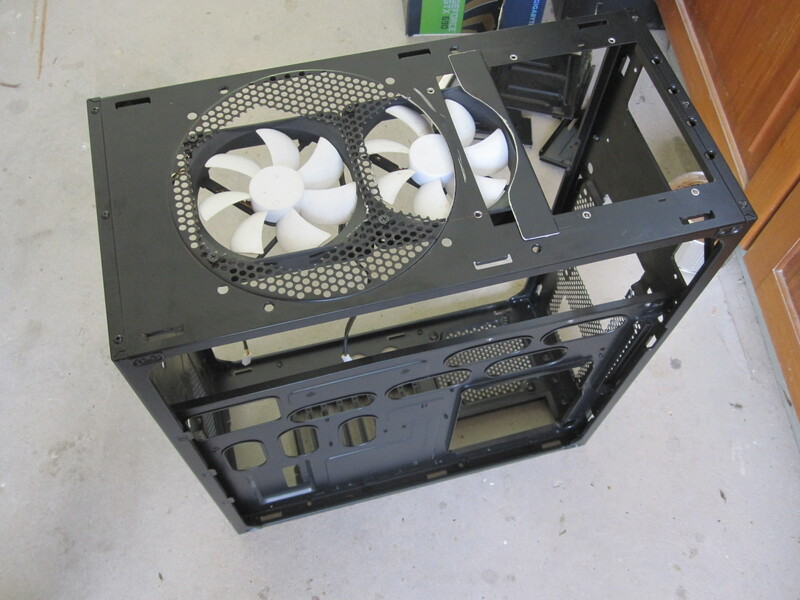 I found what I needed at my favourite online store, PC Case Gear in Melbourne. So I had these in my hot little mitts in next to no time. There were a few anxious moments when fitting the radiator as the space was VERY tight, but I eventually breathed a sigh of relief when it screwed in place. 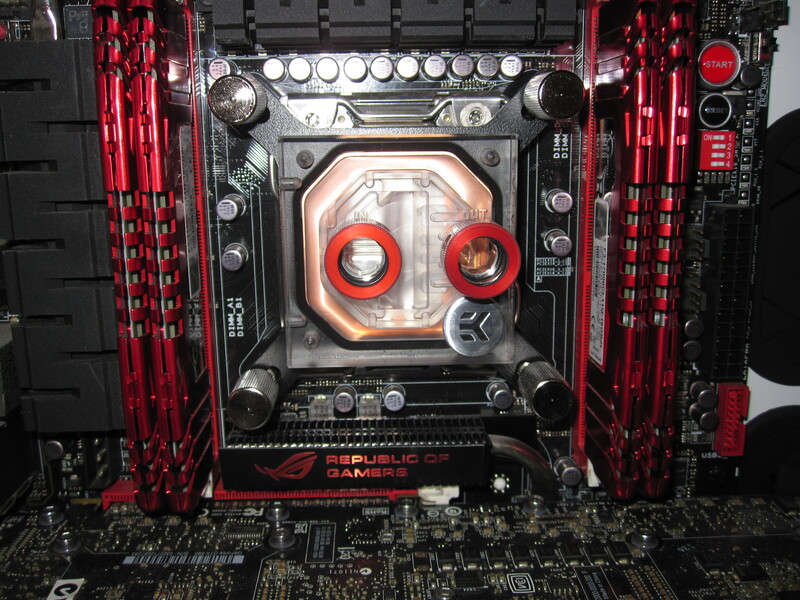 The CPU block fitted like a charm. get a nice thin acrylic translucent red plate to go behind that side panel text and it will look amazing. Thanks Warchild, that's a great idea. Never even occurred to me. 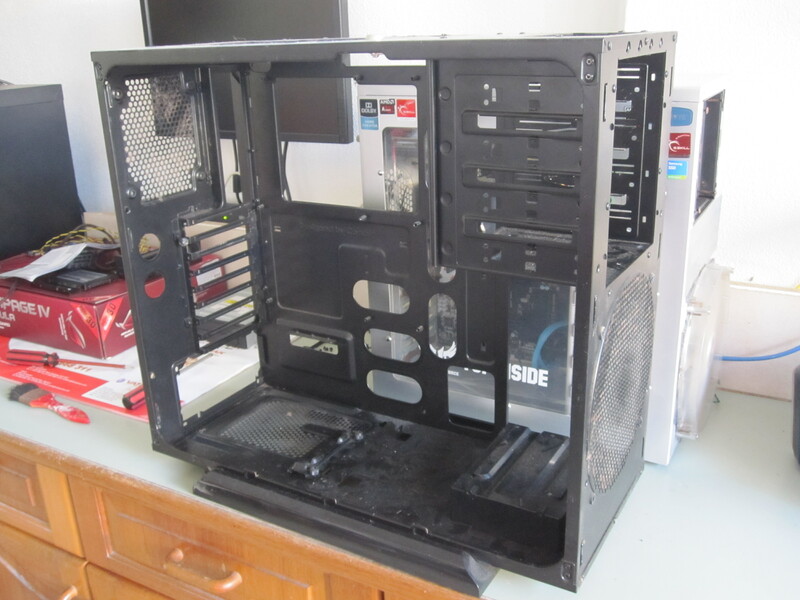 You think you have space issues, I've got to get a whole loop in the Define C Your build is coming along great though fella.